A series of late-night robocalls, encouraging residents to vote against the expansion of medical cannabis access, have angered Florida voters. A series of late-night robocalls made by Drug-Free Florida Committee in the early morning hours have angered Florida voters, with the calls urging the respondents to vote against a proposed amendment to the state constitution that would allow for the expansion of medical cannabis access. The calls, sponsored by the Drug-Free Florida Committee (DFFC), were delivered on Sunday, in some cases at 1am. The group’s calls were met with angry responses on social media and elsewhere from the calls’ recipients. Facebook user John Faith, for example, vented his frustrations on Facebook. Idiots robocalling my house at 3:30am Tallahassee number calling in the middle of the night when you’ve got two kids at FSU – heart in mouth time. Another Facebook user, Maggie Cappadonna, wrote that the DFFC’s tactics were another reason why she would not be voting against Amendment 2. The Drug-Free Florida Committee placed a robocall to our house at 6:20am this morning, a Sunday… All this particular political committee has done is show they are capable of spreading misinformation at best, downright lies the majority of the time, and horribly poor execution of their plan to push their nonsensical agenda. Needless to say, they have not swayed my vote on Amendment 2. The DFFC’s spokesperson, Christina Johnson, apologized to the recipients of the calls in a statement. Our sincerest apologies to those voters who inadvertently received a recorded call during the early morning hours on Sunday… It was not our intention to have those calls made at that hour. These calls were supposed to be made starting in the early PM and were mistakenly sent in the early AM. We are very sorry for the inconvenience. 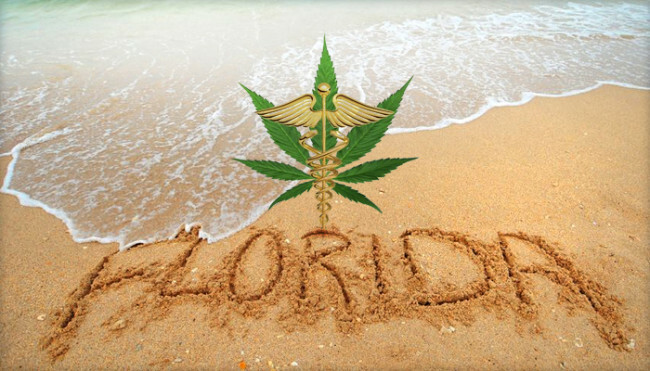 Why is the Drug-Free Florida Committee opposed to medical cannabis? Florida’s proposed expansion of medical cannabis access, known as ‘Amendment 2’, would allow doctors to recommend the use of the substance to those suffering from specific medical conditions that are deemed to be either life-threatening or debilitating. Included on the list are Crohn’s disease, HIV/AIDS, cancer, epilepsy, and glaucoma, among others. We know that Amendment 2 is simply a guise to legalize pot smoking in Florida and our goal is to point out the loopholes and explain why this amendment is bad for Florida. The group’s efforts have been met with successful fundraising campaigns. Among its biggest donors is Carol Jenkins Barnett, the heiress to one of Florida’s largest chains of supermarkets. Is there public support for Amendment 2? Public opinion on the amendment has been overwhelmingly positive ahead of Election Day, which will take place next Tuesday, November 8. One recent poll, conducted by WESH 2 News/Public Policy Polling last month, found 69% of the state’s voters approving of the measure, while only 24 percent said that they were opposed. Another poll, conducted by the Florida Chamber of Commerce Political Institute, found a whopping 73% of the state’s likely voters supportive of the amendment. Just 22% said they were opposed.